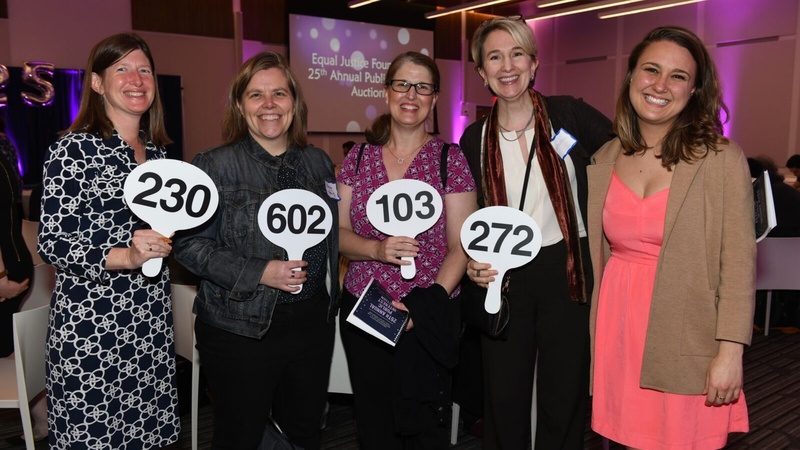 The Equal Justice Foundation’s 25th Annual Public Interest Auction took place on Thursday, March 29. 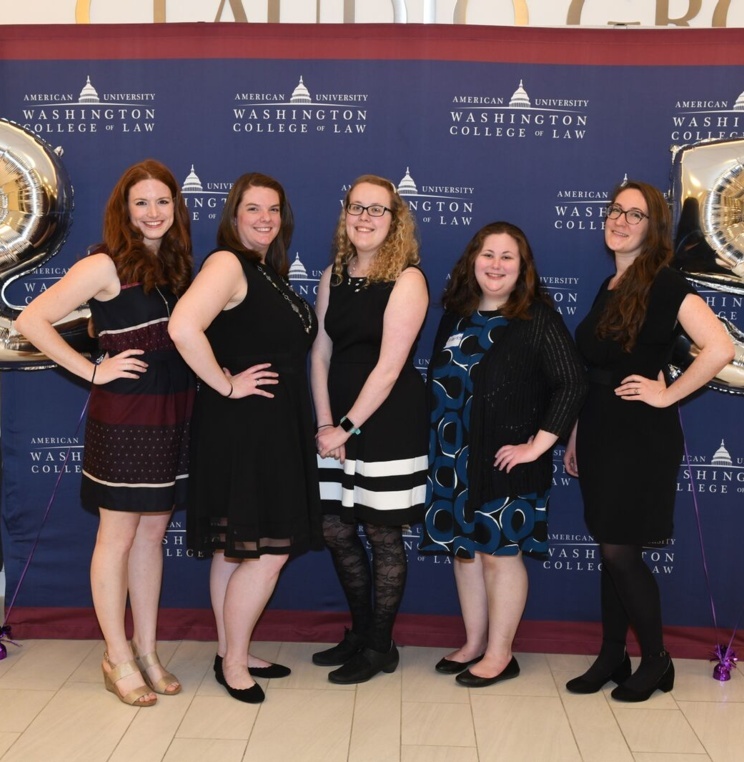 Faculty, students, alumni, staff, friends, family, and other members of the Washington College of Law community convened in Claudio Grossman Hall for a night of bidding and fun, all for an excellent cause. 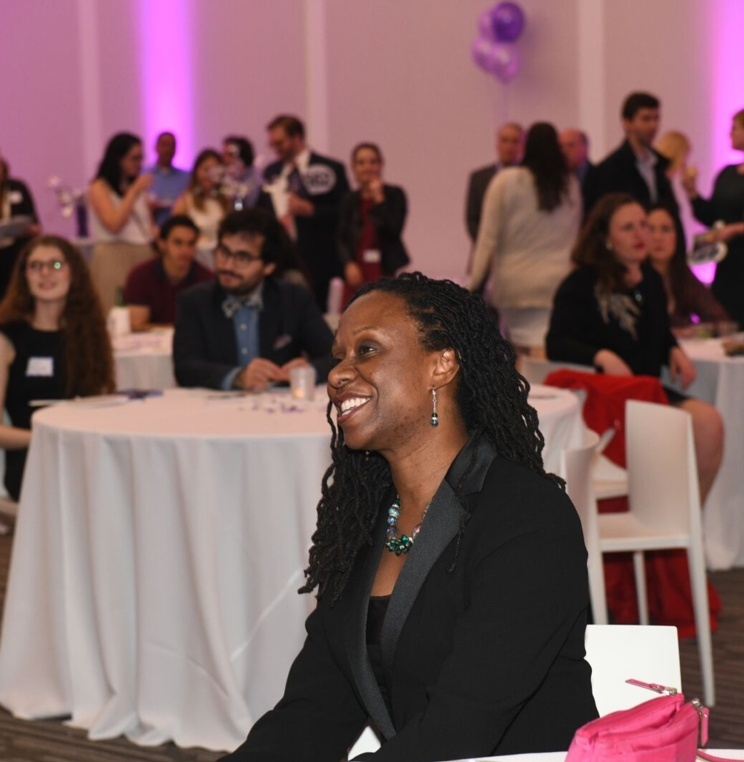 Associate Director of Academic Advising and Policy Development Sarah Stanley stepped in as the master of ceremonies, and faculty took turns acting as auctioneers. 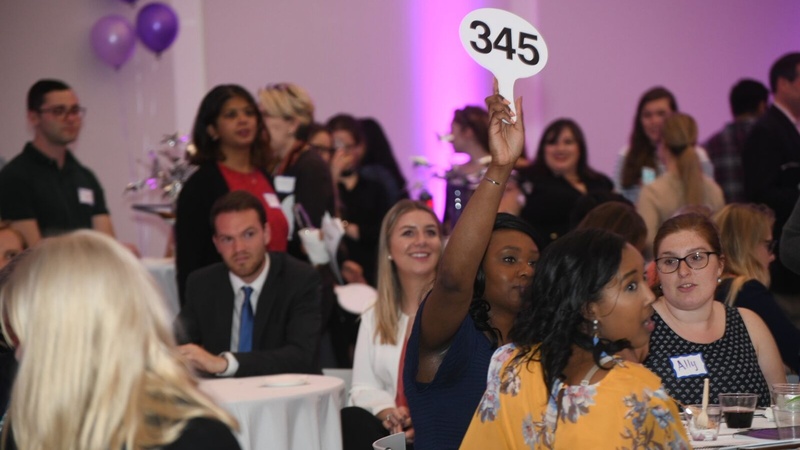 This year’s auction was a particularly noteworthy occasion: it was the 25th anniversary of the public interest auction. 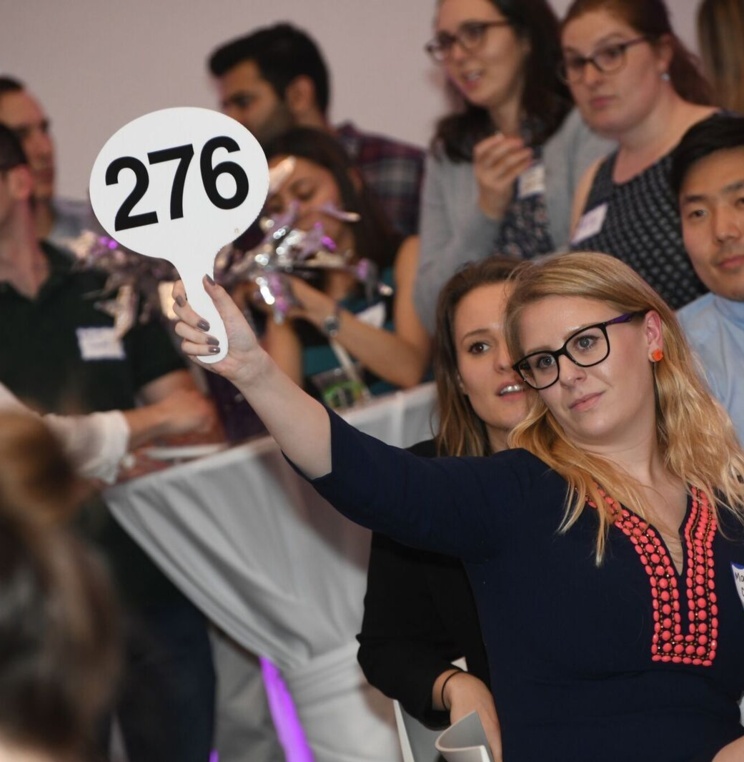 Each year, the Equal Justice Foundation (EJF), a student-run organization that raises money for students pursuing unpaid public interest internships over the summer, hosts its annual auction in the spring. 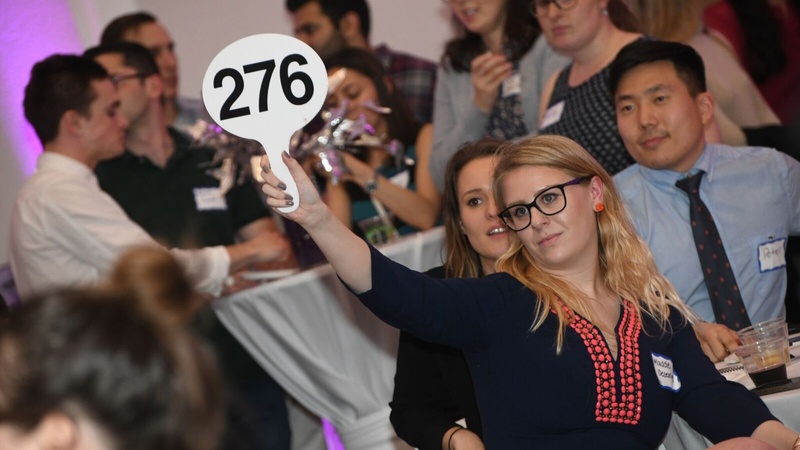 The auction is EJF’s largest fundraiser of the year and a cornerstone of the WCL academic year. EJF collects donations from businesses, organizations, and community members on which attendees can bid. 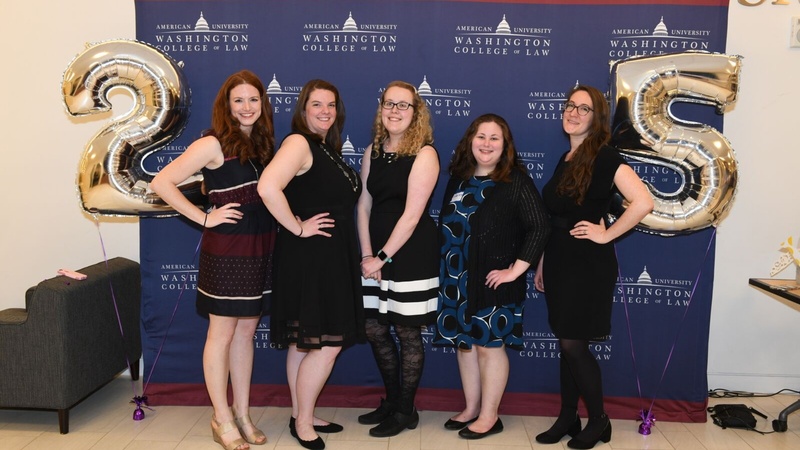 This year, some notable items included one week’s stay at a Disney resort; coffee with WCL alumna Judy Smith, the inspiration for Scandal; dinner with WCL alumnus and co-founder of SCOTUSblog Tom Goldstein; tickets to Hamilton in New York City; lunch and a Capitol tour with Rep. Jamie Raskin; sports memorabilia and tickets; and so much more. 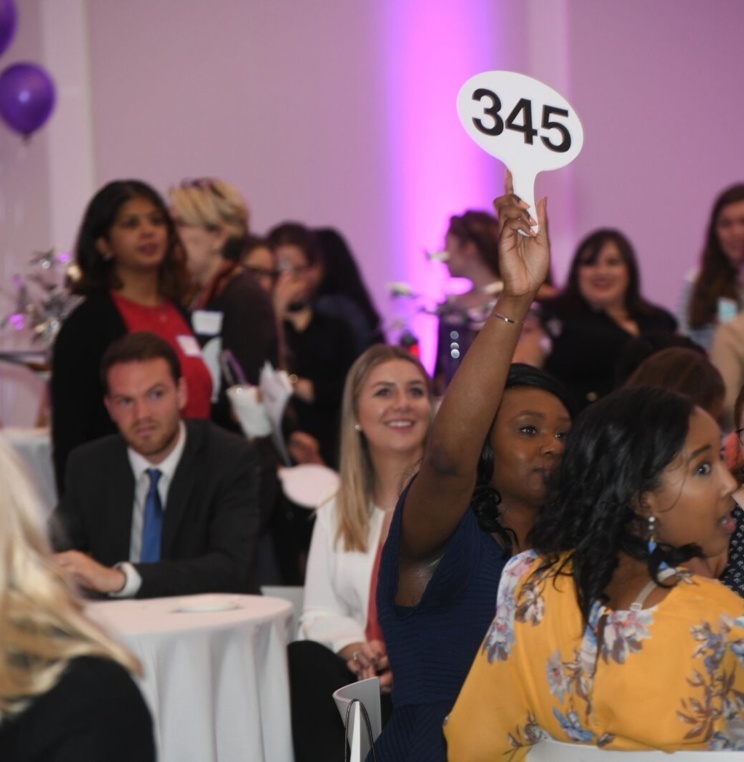 This year’s auction was a huge success. 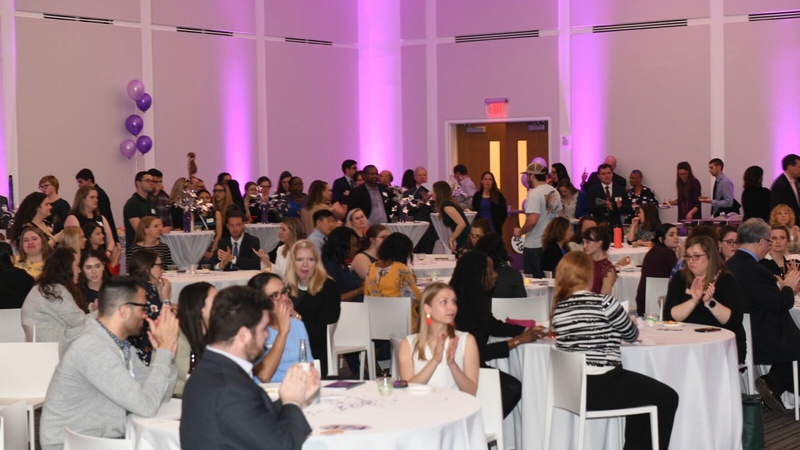 EJF raised over $17,000, which will go directly toward stipends for students completing work that directly benefits underrepresented and marginalized communities, from the silent auction, live auction, and raffles conducted over the course of the night. Prior recipients have interned at placements such as Ayuda, Bread for the City, Children’s Law Center, Legal Aid Society, public defender services, the Department of Justice, and so many other remarkable causes. 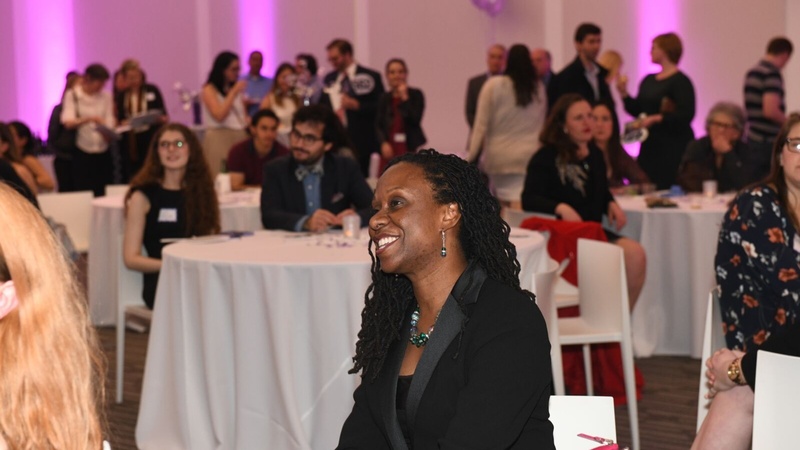 So long as EJF continues to fund these internships, recipients will continue to work to ensure that members of indigent communities have access to quality legal representation. 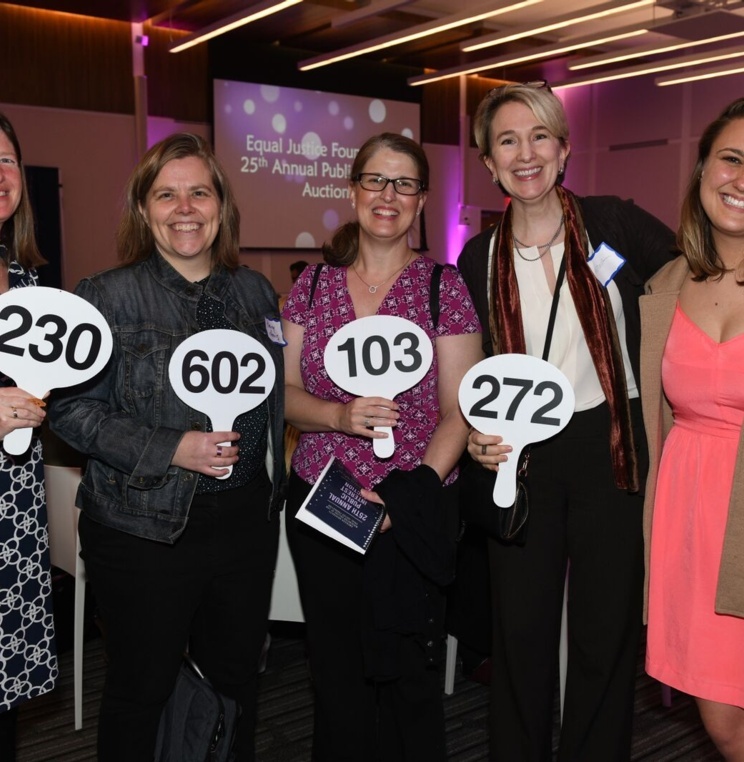 EJF would like to thank WCL staff, faculty, administration, students, and other community members who helped to ensure the auction was such a success. 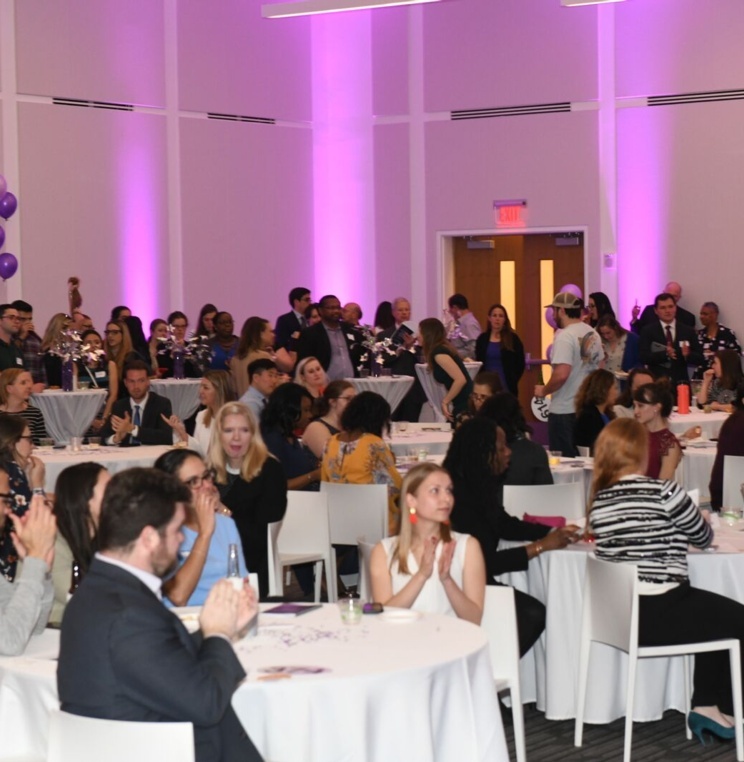 If you missed the event and would like to make a donation to EJF, you can still do so at https://www.wcl.american.edu/community/students/organizations/ejf/donation/.